Obtenez ce transfert de bail pendant 40 mois pour des paiements mensuels équivalents U 254.87$/Mois +Tx apr s incitatif. Vous pourrez rouler 2,225 Km par mois. 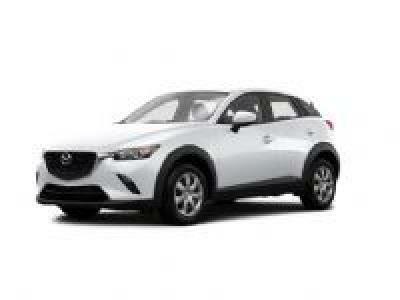 Mazda CX-3 GS 2017 Fermer la fentre. Mazda CX-3 trim GS. Monthly payment is 331.5 tax and down payment included. $1000 down payment, $1000 lease protection. You can drive for 41 months more up to 24,000 km per year until total of 120,000 km to the end of lease term. Original lease was for 60 months, and 45 months left. The residual value for buyout at the end of lease is $7800. Current millage 35000 km. Front seat heating, bluetooth with text reading, Side mirror warmer, keyless remote entry, anti theft, 16 inch alloy wheels, cd plyer, 2 usb port, automatic transmission with manual standard on demand, abs brake system, on wheel bluetooth and volume and criuse control, economic gas consumpsion equiped with sport mode botton for acceleration on demand, power windows, electrical side mirror, Air Conditioning and push start botton.